“I just can’t say enough how great Ben was with the kids. 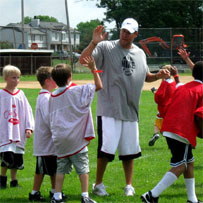 We had Heath Miller, Brett Keisel & Chris Hoke come and work with the kids and they were great, too. However, when Ben showed up, it was absolutely electric! !” — Anita Doddroe, whose son attended the Camp in 2010. Hey Kids! 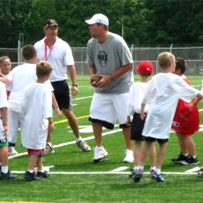 Join Ben this summer for some football instruction and fun at his Football Camp, sponsored by ProCamps Worldwide! Individual groups will be small to assure that each camper gets maximum instruction from the top football coaches in the Pittsburgh area. Ben will give talks highlighting the finer points of the game of football and beyond. Parents and their guests will be able to listen to camp guests in designated areas at each location. Some of the many Camp sponsors include High Mark , #1 Cochran Motors, The Pittsburgh Post-Gazette, KDKA- Channel 2, and 102.5 WDVE! To sign up for the camp, click here. To learn how your youth football team can attend, click here. To see photos, like the one taken above by fan Anita Doddroe, click here.